Can this budget LCD TV hold it's own against new TV technology? 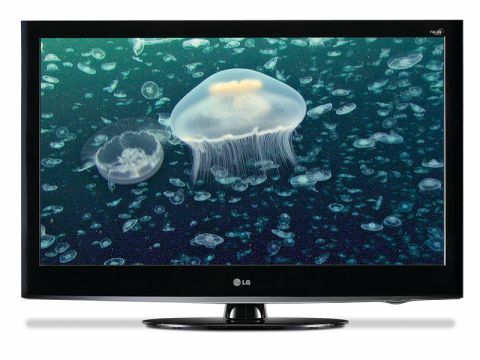 The LG 37LH3000 is a budget LCD TV and also happens to be very attractive, boasting a glossy, curvaceous body that looks anything but cheap. Its connectivity doesn't quite match its rivals, though, for it only manages three HDMIs and, while it does sport a USB socket, this is just for servicing. While the 37LH3000 sits quite low down in LG's current LCD TV lineup, it does have a few handy tricks up its sleeve. On the video processing front, while it doesn't have 100Hz, it does enjoy LG's home-grown Twin XD Engine, which improves various aspects of the picture. Plus, there's LG's Blu-ray friendly 24p Real Cinema processor as a nice bonus. More surprisingly, though, is the discovery of two image presets labelled 'ISF'. This proves that the independent Imaging Science Foundation has acknowledged the 37LH3000 as having enough image setup flexibility to be professionally calibrated by its experts. Indeed, the number of tweaks that feature in the TV's gorgeous and well-organised onscreen menus really is prodigious for such an 'entry-level' telly. Of course, such flexibility might intimidate some, so we applaud LG's decision to equip its 37-incher with a Picture Wizard utility, that walks you through setting up your picture via a few basic test signals. In typical LG fashion, the 37LH3000's pictures are better than you might expect for its money. We're instantly struck by how bright and colourful things look. Animated movies explode off the screen spectacularly, but even relatively drab video footage such as EastEnders looks engagingly dynamic, especially versus the Toshiba 37XV635. The set does a good job of revealing the extra sharpness and detail of HD sources, making optimal use of its full HD resolution. Standard-def pictures are decently sharp, too, if sometimes slightly noisy, and colours are vivid, but natural if you avoid the aggressive wide colour gamut setting. On the downside, the 37LH3000's black level response is merely solid; deep enough to create a generally punchy look, but troubled by a little greyness and lack of shadow detail. The generally crisp flavour of the picture can break down marginally, too, if there's a lot of motion in a picture, due to low-level motion blur. But this isn't a deal breaker. While some of LG's higher spec models have produced reasonable sonics this year, the 37LH3000 is painfully average, lacking the power and dynamic range to present even a fairly low-level action scene with any openness or flair. At best the audio doesn't actually distort.